Thank you for using our Website www.agarscientific.com (“the Site”). 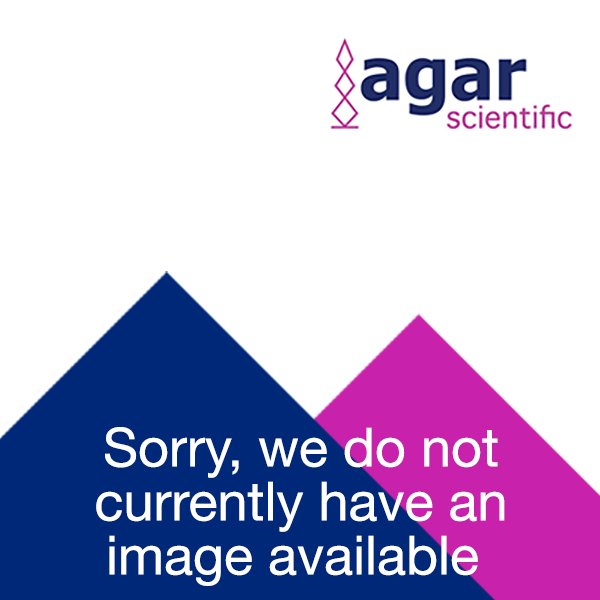 This website is controlled and operated by Agar Scientific Ltd offices at Stansted, United Kingdom. The following terms and conditions apply to your use of this Site. By using this Site, you acknowledge that you have read, understood and agreed to comply with these terms (the “Agreement”). If you do not accept any of these terms please do not use the Site. Company Name : Agar Scientific Ltd.
Names or logos of Agar Scientific products or services referenced on this Site are trademarks or registered trademarks of Agar Scientific Ltd.
(b) copy the material on this Site for the purpose of sending it to individual parties for their personal information provided that you acknowledge Agar Scientific Ltd as the source of the material and that you inform the third party that these conditions apply to them and that they must comply with them. Please order by catalogue number and description and where applicable please supply any necessary additional information such as size, material etc. In cases where an accessory is required for direct fitting to an electron microscope the make and model should be specified. We do not apply a minimum order charge for online purchases, but a despatch and packing charge is added to the cost of the goods. Payment is due 30 days after the invoice date for customers with credit approval. Others should provide payment with orders after first consulting our sales department for the appropriate prices and despatch charges. We are also able to accept payment by Visa and Mastercard. Goods supplied against customer orders remain the property of Agar Scientific Ltd until they are paid for in full. Overseas customers should contact our local representative who in addition to processing their order can provide full technical and pricing information. For countries not so served we are pleased to receive direct orders. In these cases payment can be made in advance, by an irrevocable letter of credit confirmed by a London bank or by cash against documents sent to the bank of the customer. Alternatively, we may be able to accept payment by credit card. All stocked goods are covered by our returns guarantee. Please obtain authorisation and return within 30 days, unused and in the original packaging for a prompt replacement, exchange or refund. To obtain a Return Materials Authorisation number (RMA) before returning goods please call Customer Services on +44 (0)1279 215 506. Special Order and non-stocked items may only be returned if damaged or faulty. Goods must be returned in pristine condition in the original packaging. We reserve the right to withhold full credit if any goods are received back without their original packaging or in a condition unfit for re-sale. A re-stocking/inspection charge will apply for goods regarded as unsuitable or ordered in error. We pride ourselves on processing and sending customer orders out quickly. So please call our customer service team directly on +44 (0)1279 215 506 if you have placed an order that you wish to cancel.